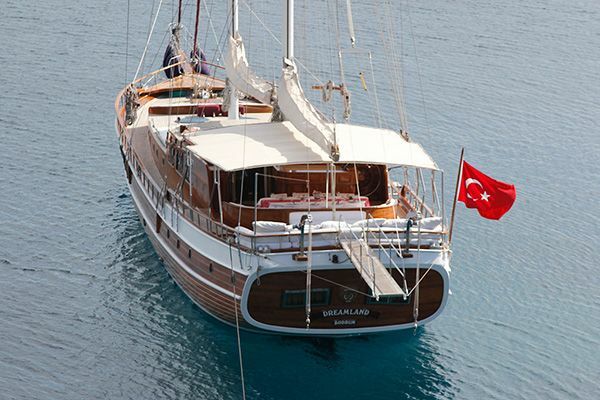 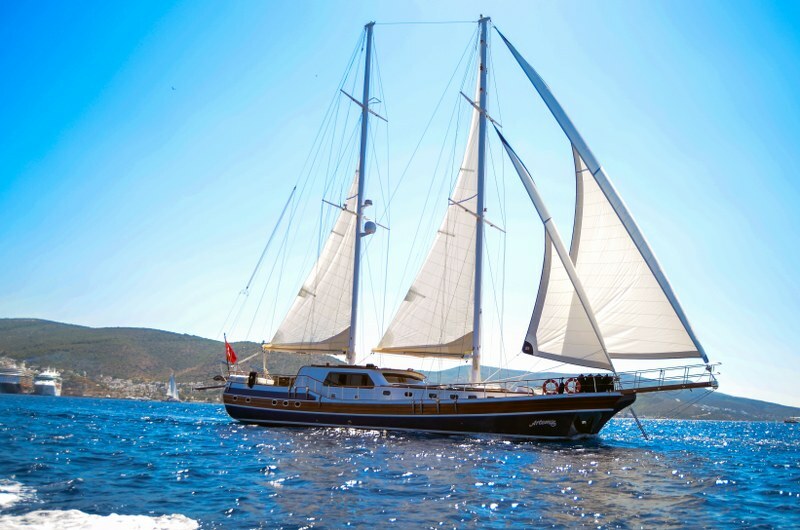 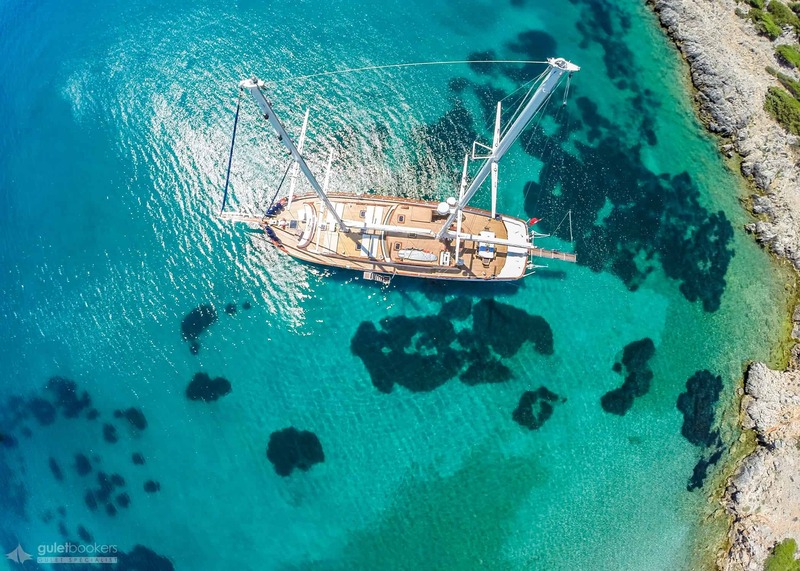 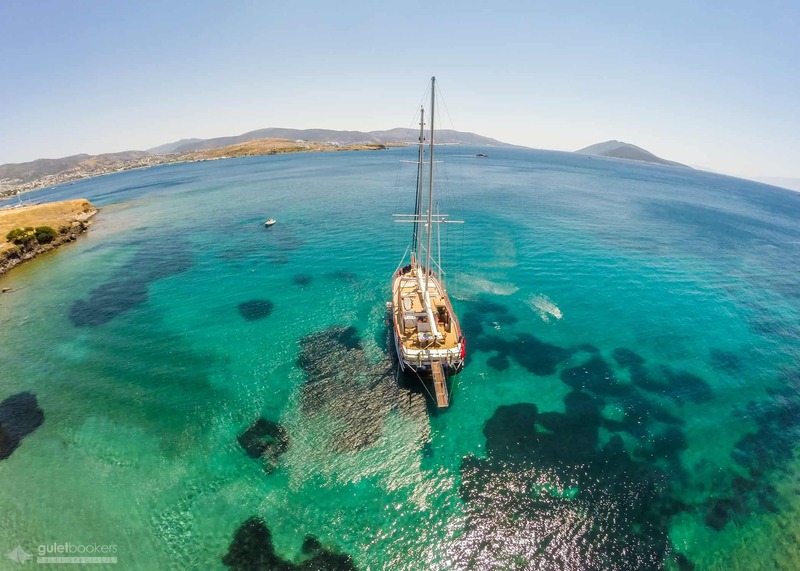 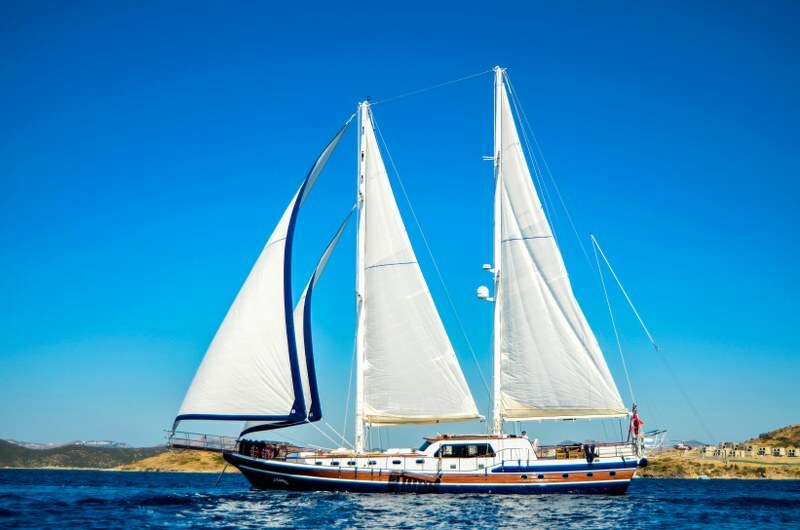 The Deluxe gulet Artemis was launched in Bodrum in June 2015, at the same time launching a new generation of finish and modern technology within the classic gulet design. 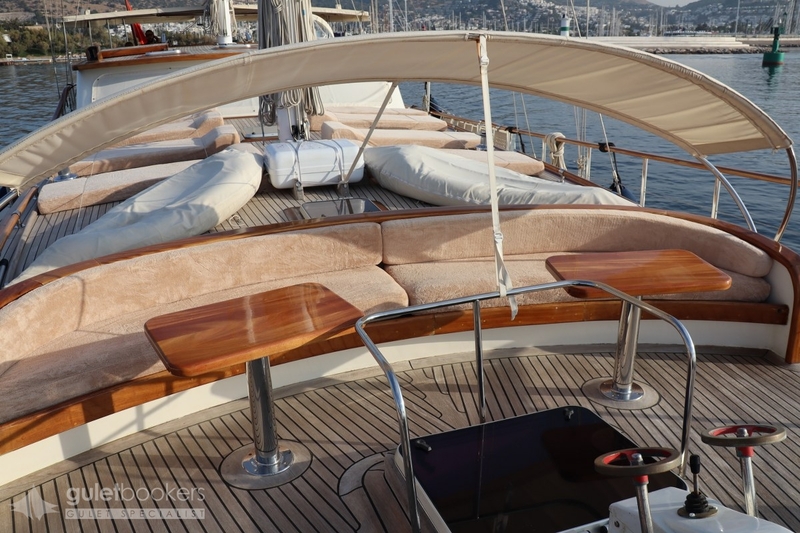 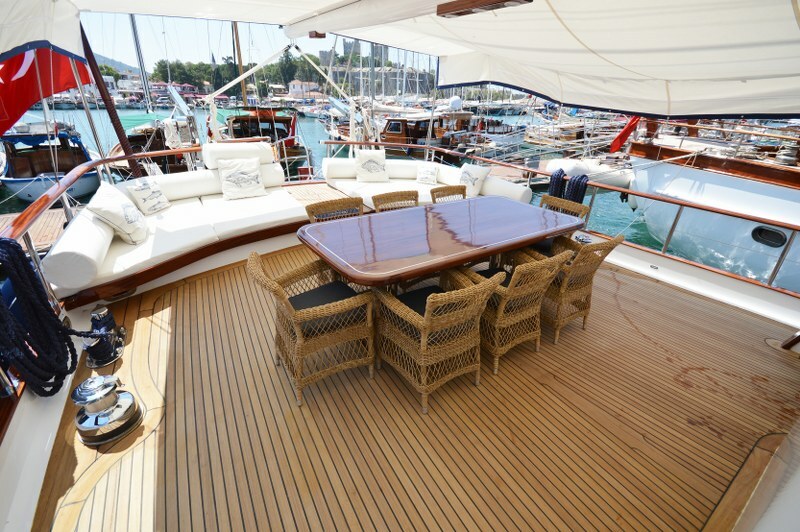 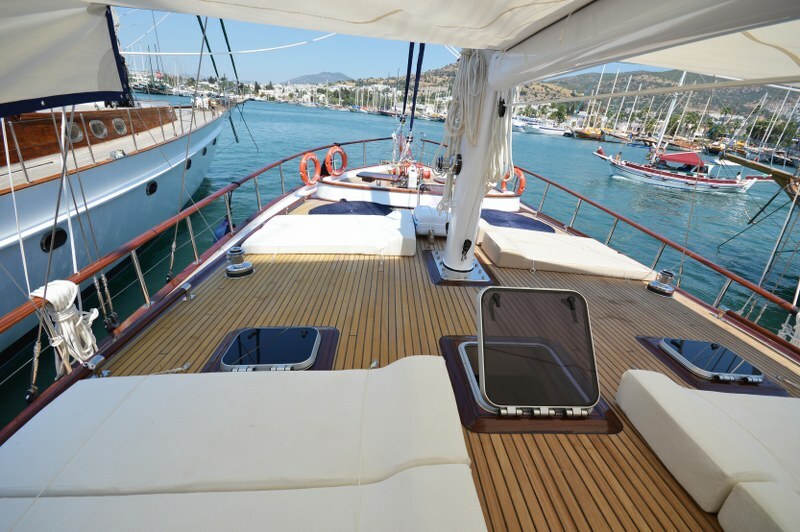 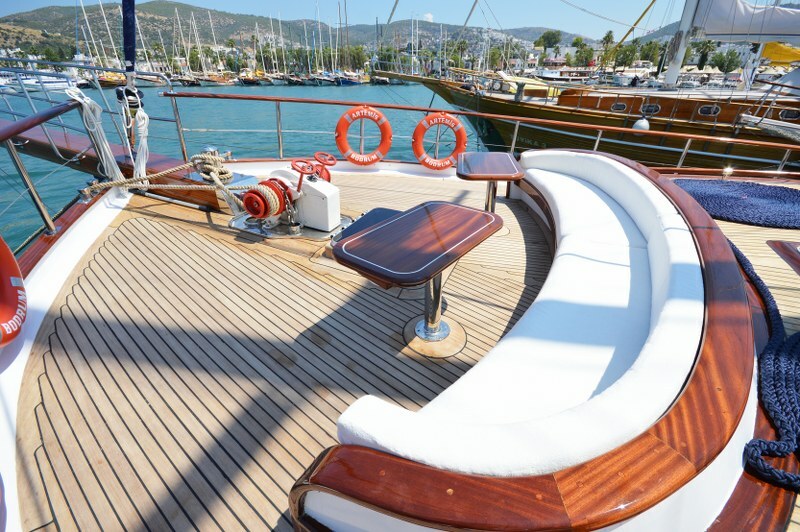 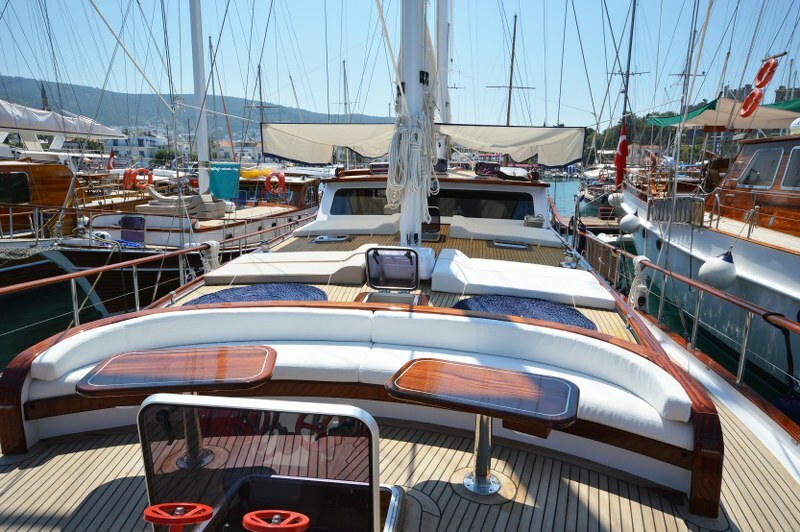 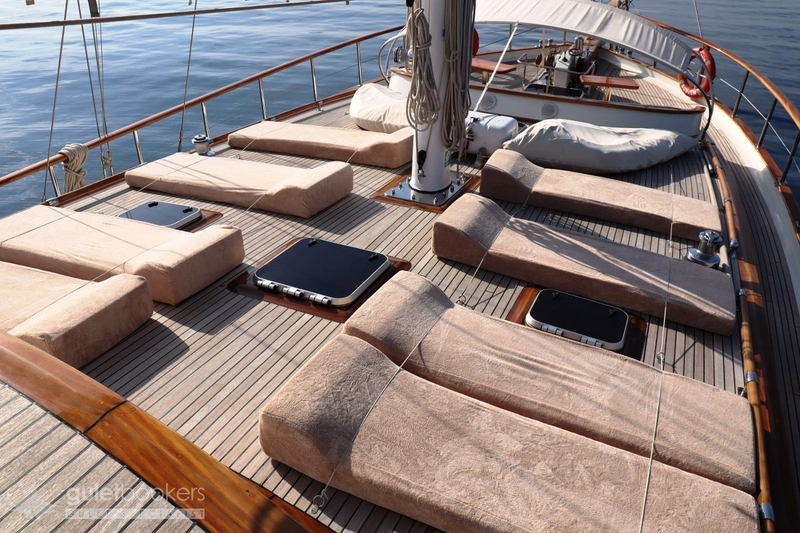 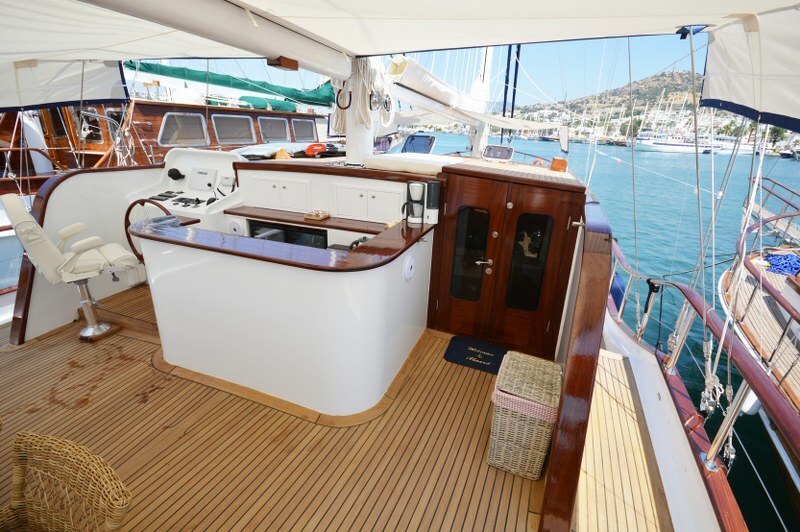 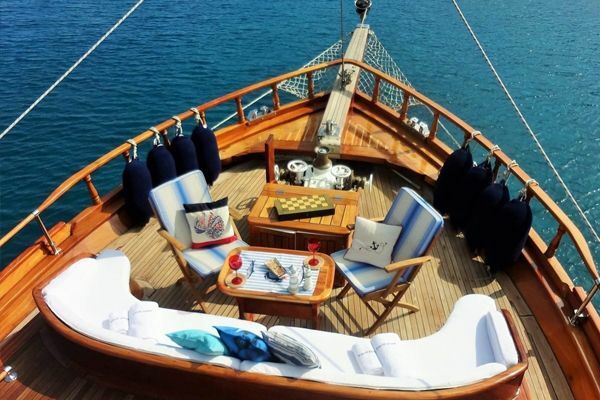 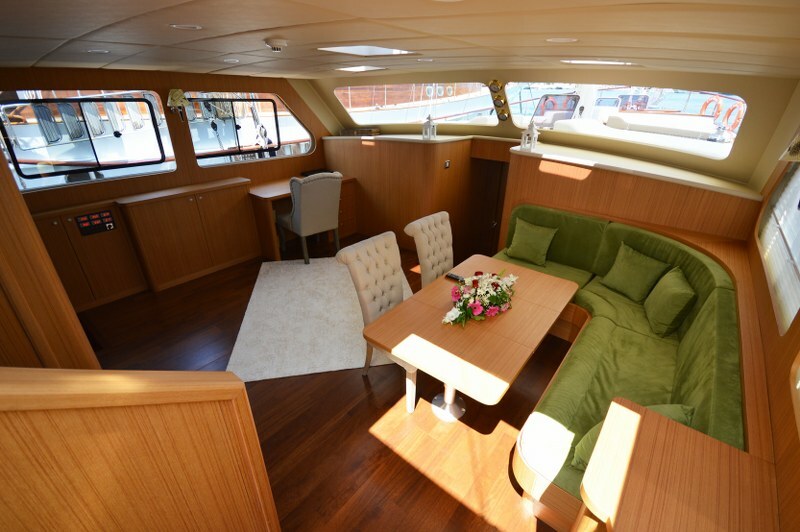 The smooth contemporary, timber-styled interior finish gives light and airy space within the 24 meter gulet. 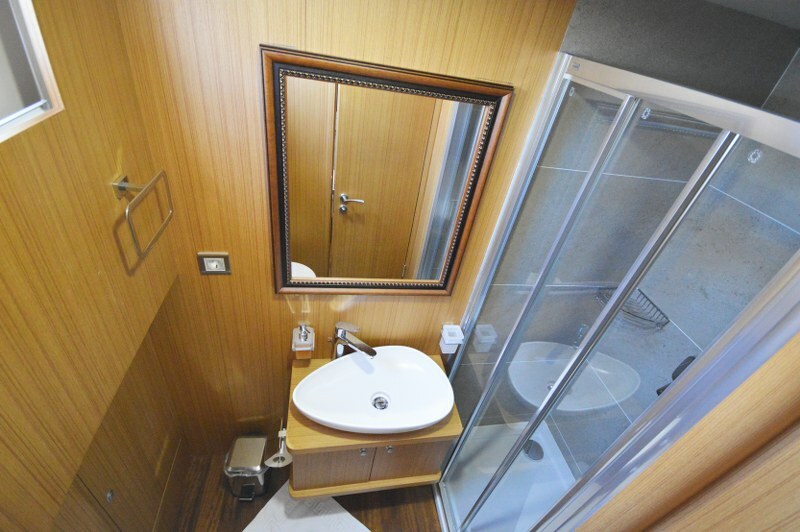 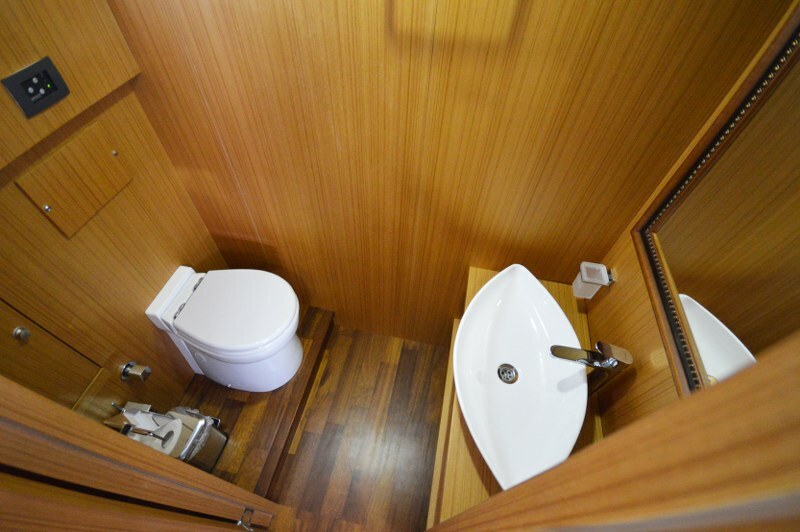 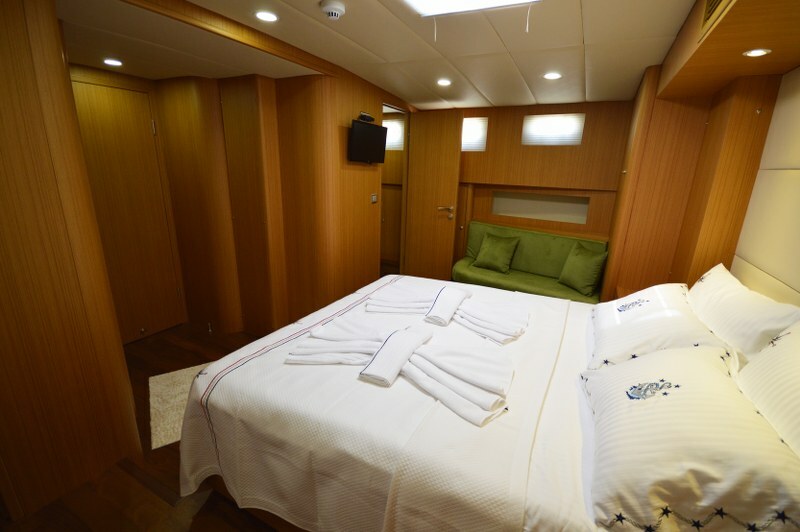 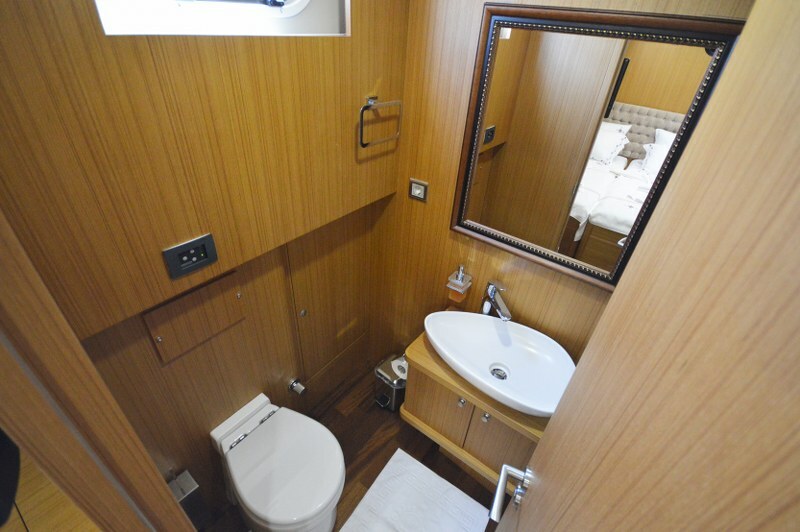 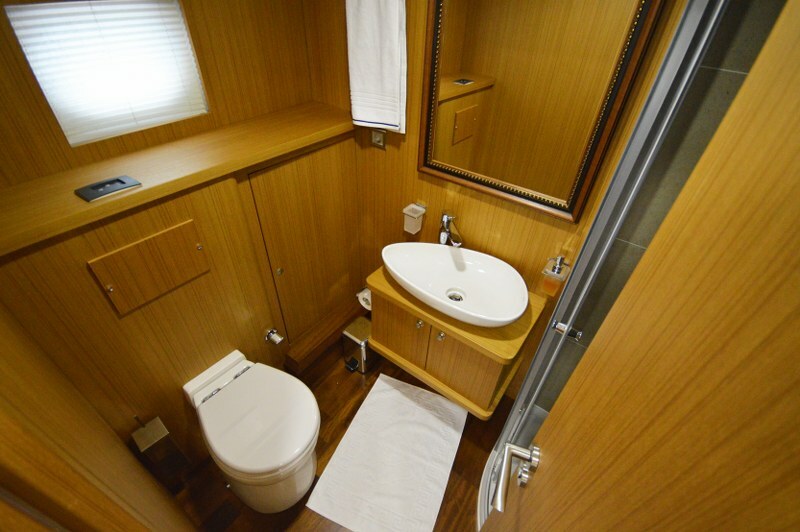 It offers just four roomy cabins- two master cabins, and two twin cabins which convert to double beds if required, so offering flexibility for either families or groups of friends. 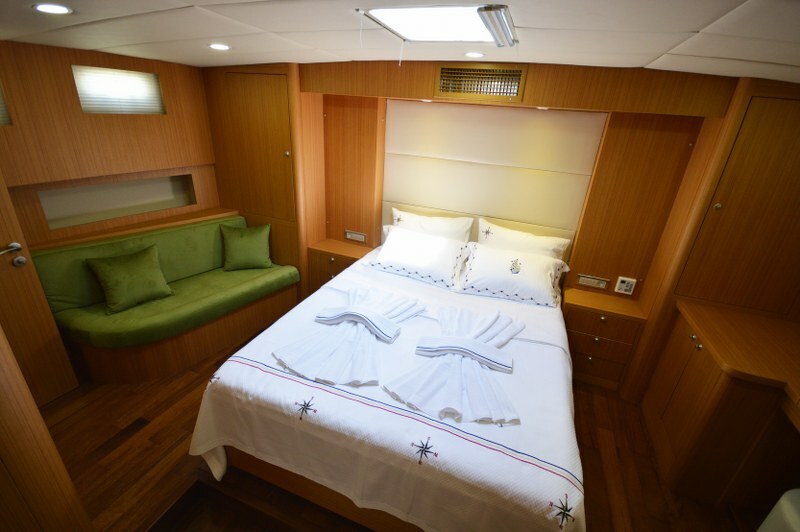 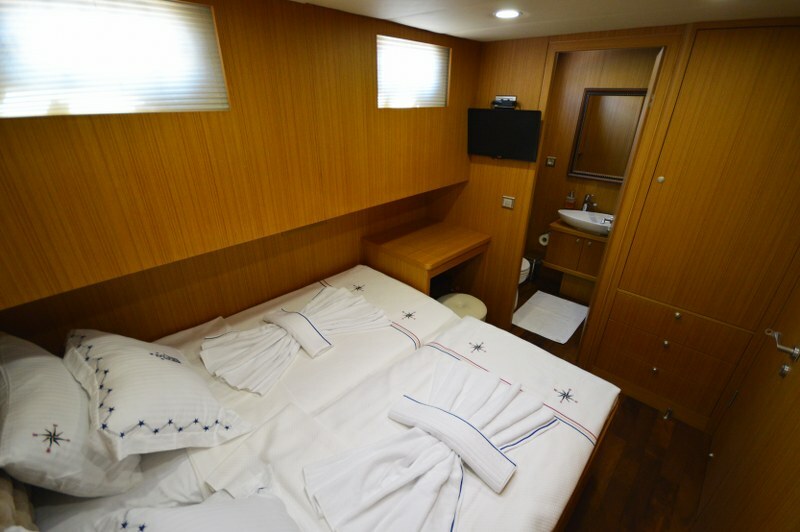 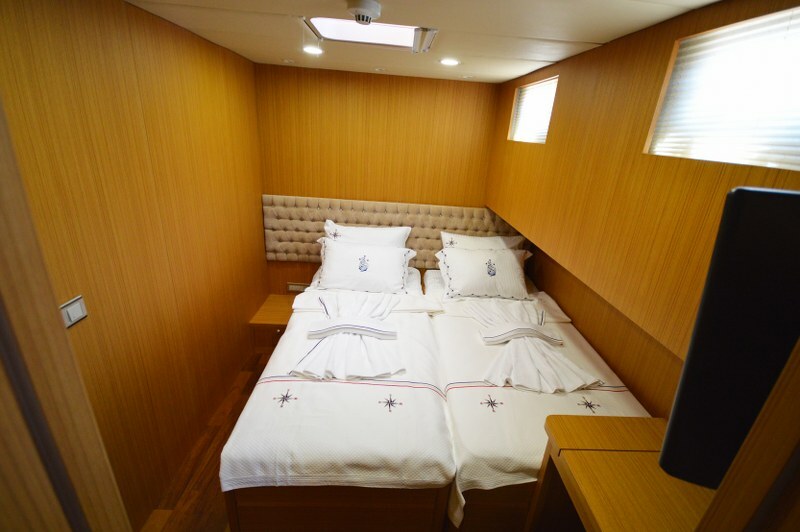 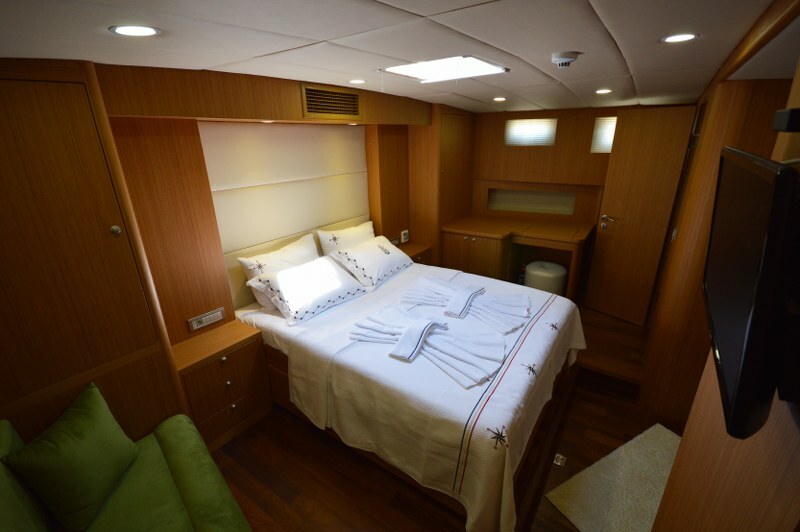 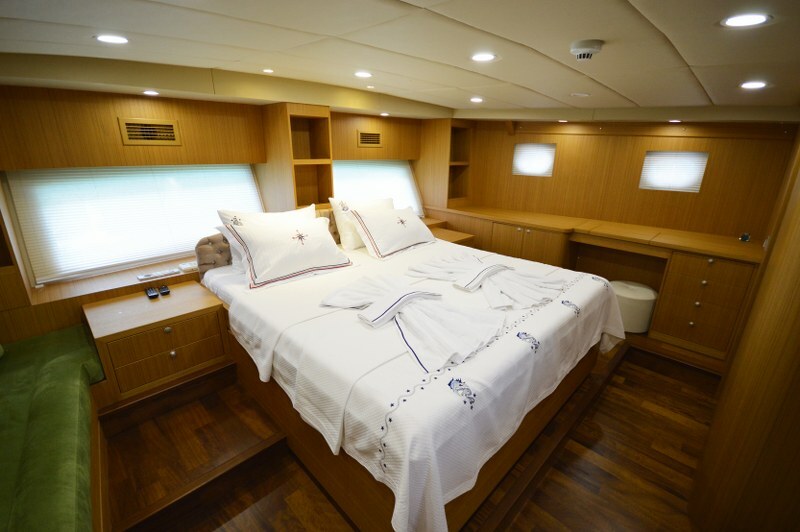 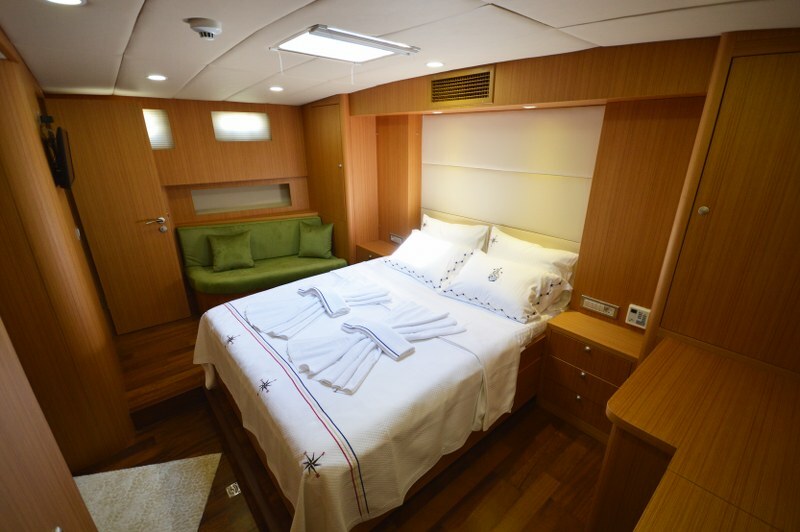 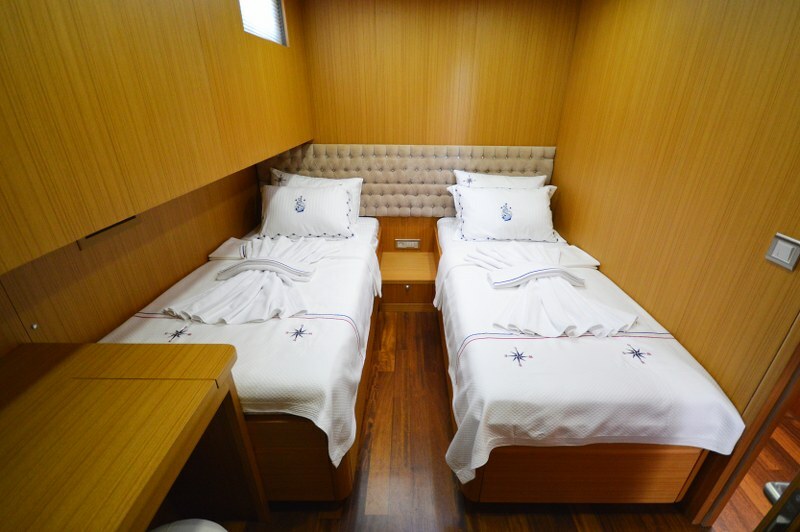 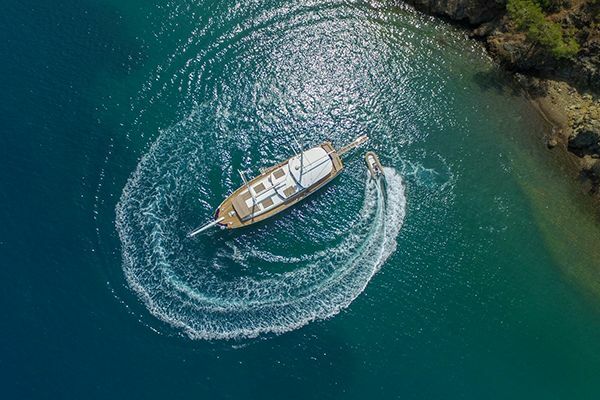 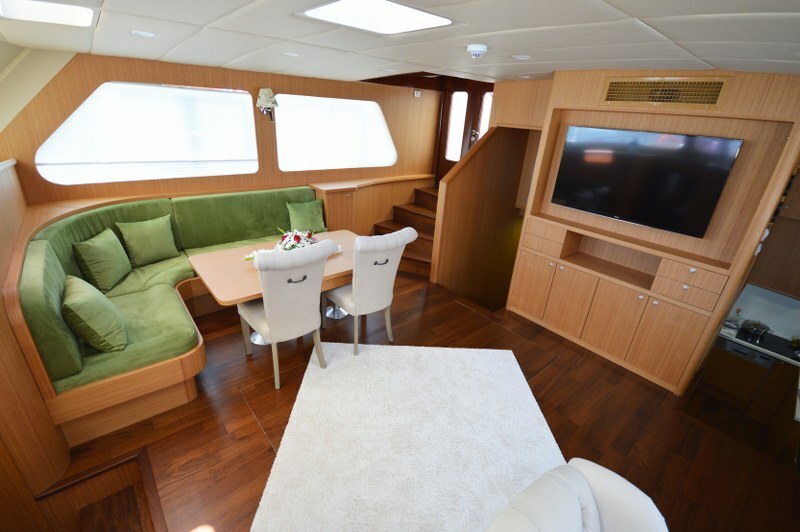 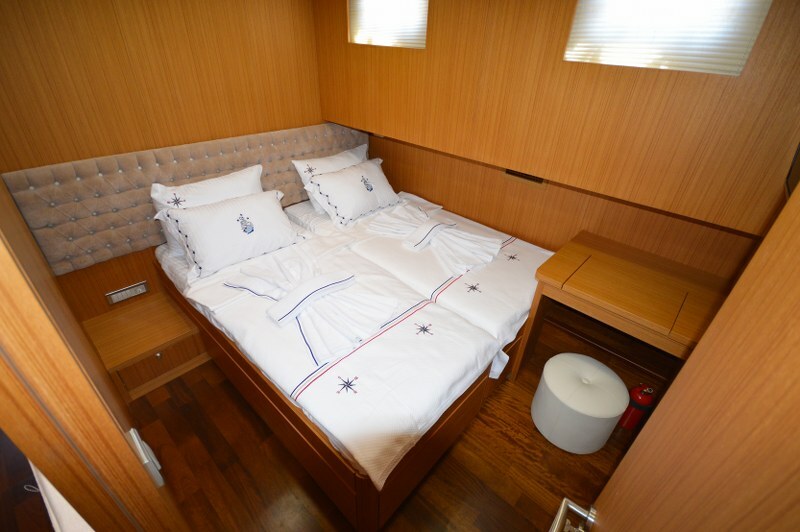 All the cabins and saloon on gullet yacht Artemiz can enjoy air-conditioning, TV and satellite, and DVDs, and Blue tooth connection for the music system. 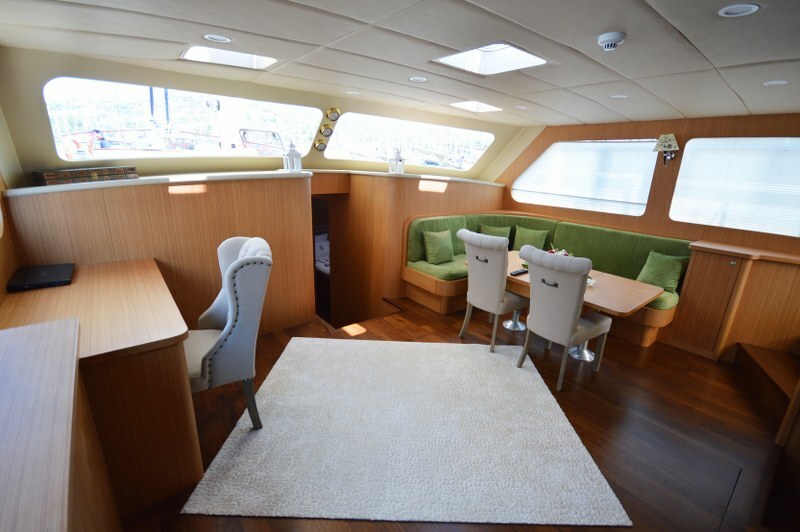 The saloon offers an indoor dining space plus an extra-large Plasma TV for those who wish for some screen entertainment or internet feed. 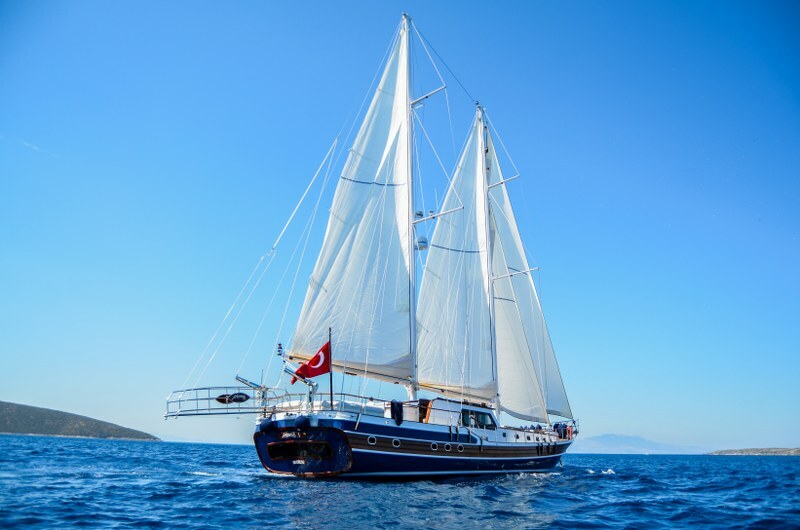 The beautifully styled blue and timber hull carries a full set of sails and a generous amount of deck space for relaxing in the open air with the classic arrangement of bow seat and small tables and full sunbeds on the foredeck which can be shaded or open to the sun. 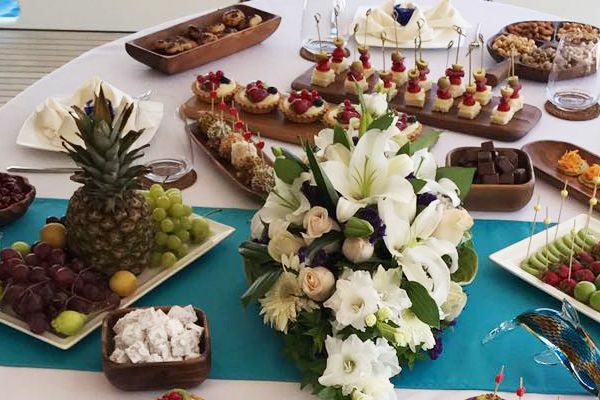 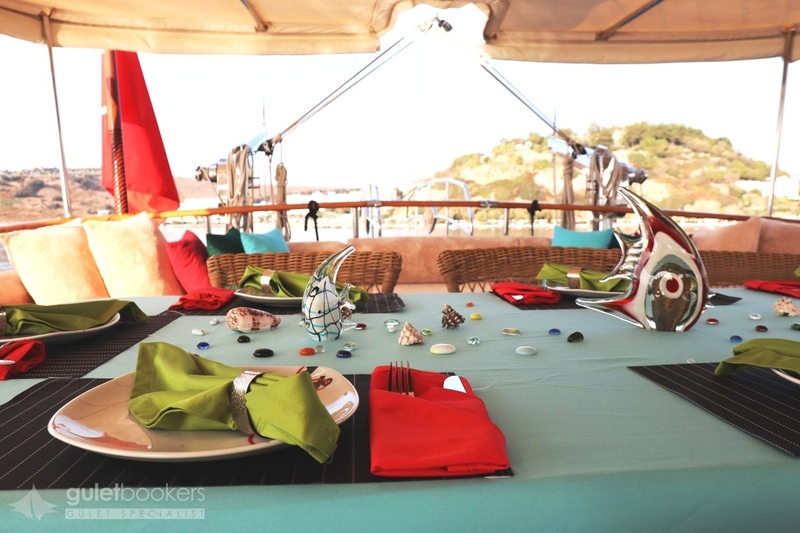 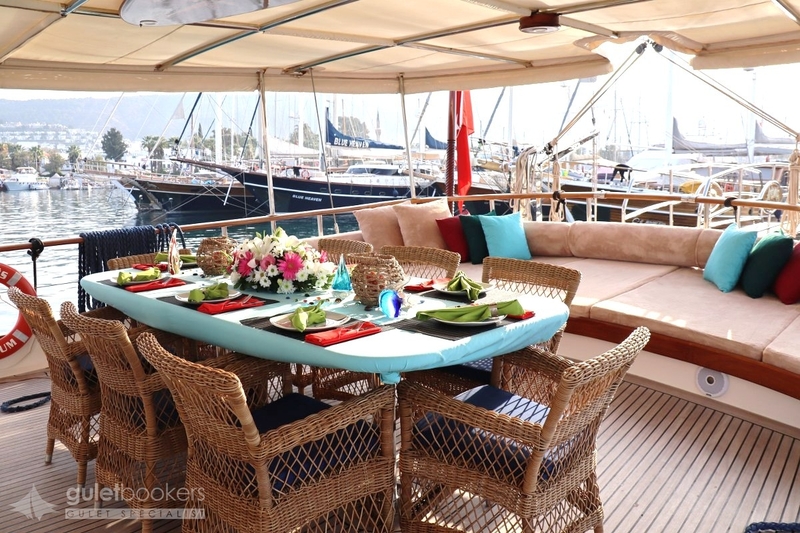 Yacht Artemis’s dining alfresco on the aft deck is one of the joys of a gulet cruise, with excellent meals prepared and served by the crew, while across the stern the deep cushioned pad invites those who like to relax in the shade or after a meal. 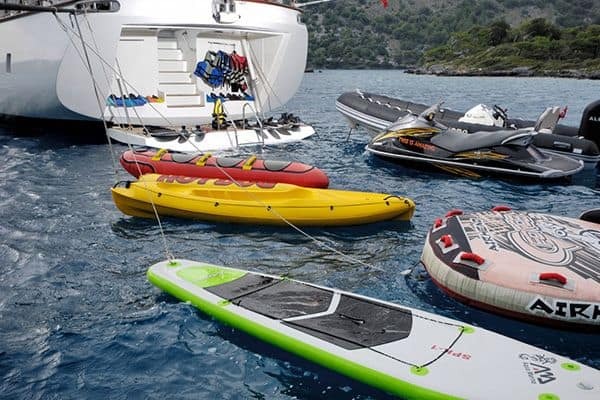 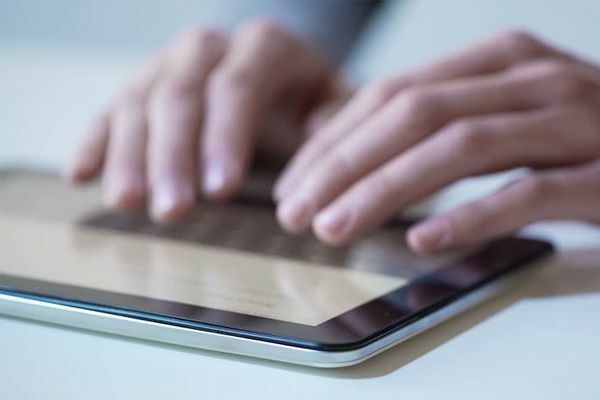 However the active on board are catered for with a full set of watersport toys such as canoes, water skis and wakeboards, and inflatable toys. 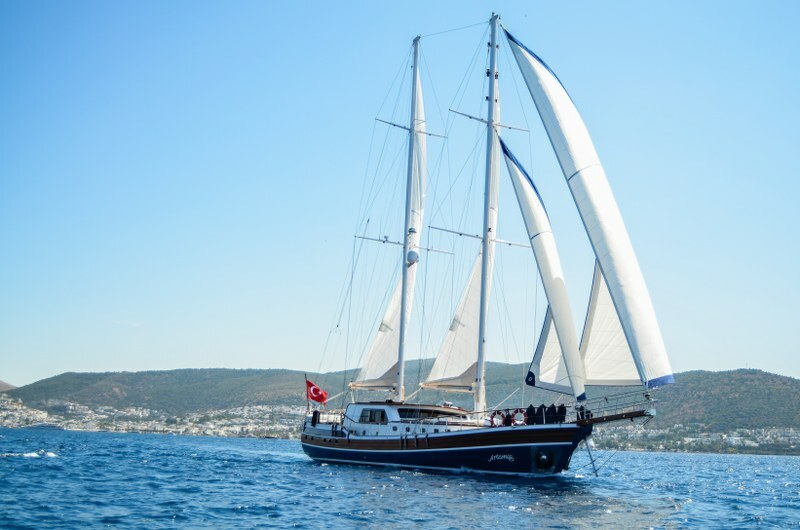 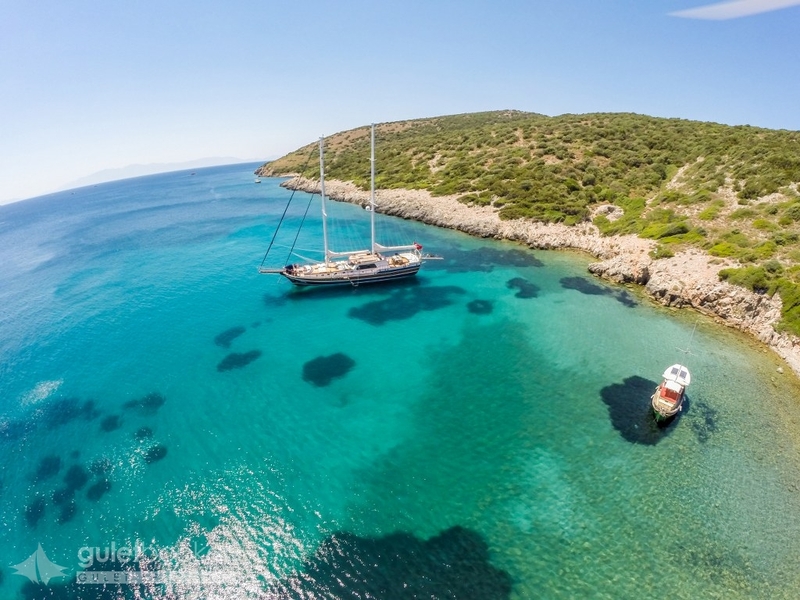 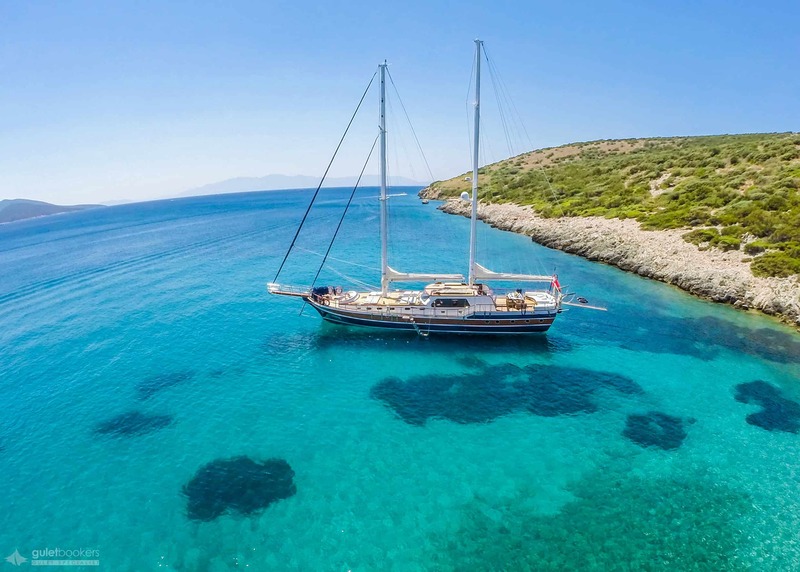 The professional and experienced captain and crew of three on Luxury gullet Artemis ; ensure that guests aboard will enjoy a deluxe experience, sailing, dining and cruising the Turkish coast or Greek Dodecanese Islands in fine style aboard the excellent Artemis gulet.